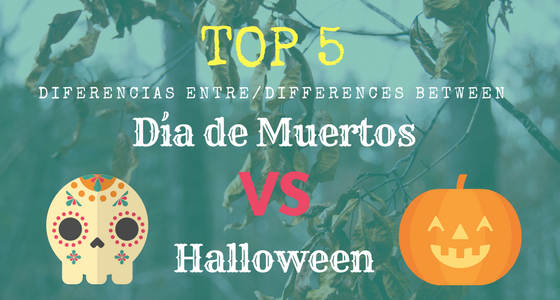 Although Day of the Dead and Halloween can be perceived as very similar celebrations, the reality is that their origin and cultural meanings are very different. 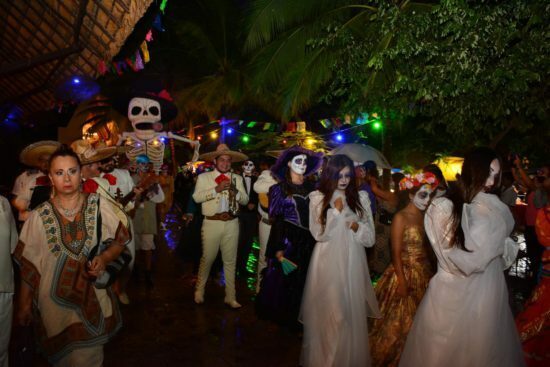 The Day of the Dead is one of the most iconic and well-known festivities in Mexico. For over 3,000 years, the Mexican people have commemorated their deceased loved onesby “welcoming” their visit every year in a celebration full of tradition. On the other hand, Halloween has its origins in the Celtic culture, when they celebrated the end of the harvest season and welcomed the new Celtic year, while at night it was believed that the spirits hovered among the living. The Day of the Dead tradition indicates that souls arrive every 12 hours between October 28 and November 2 to visit their relatives, while Halloween is celebrated the night of October 31, when spirits can walk amongst the living. 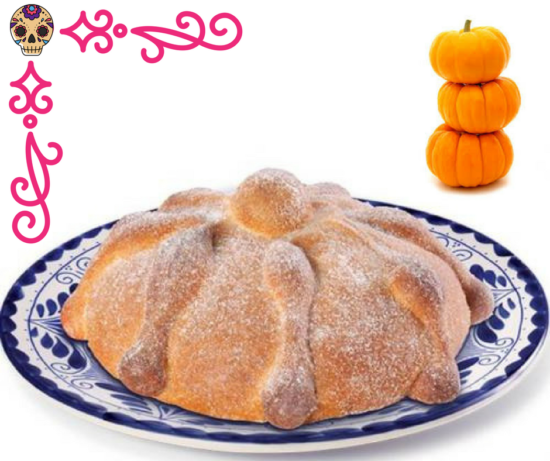 On the Day of the Dead, La Catrina plays a very important role. This elegant female skeleton figure is the Mexican version of the representation of death, originally created by the cartoonist José Guadalupe Posada as a socio-political criticism of the country’s upper class. Halloween has its Jack-O’-Lanterns, which were born from an old Irish folk tale that tells about Jack, a farmer who by his cunning managed to catch the Devil, but when the farmer died he could not enter heaven nor hell, so he was condemned to live in a flame inside a pumpkin. Many colors are used during Day of the Dead, and there is an atmosphere of celebration and respect for both life and death. Elements such as the altar are used, where food and drinks are offered to deceased relatives so they feel welcome to celebrate with the living. On Halloween, black, orange and purple are the most-used colors, and people dress up as terrifying characters. Also, in some places campfires are lit to drive away evil spirits and demons while gifts are left outside the houses; hence, kids and grown-ups now go trick-or-treating. In Mexico during Day of the Dead, “calaveritas” are commonly written and performed. These are poetry-like literary compositions that allude, in a satirical and humorous way, to well-known characters and their relationship with “la calaca” (death). 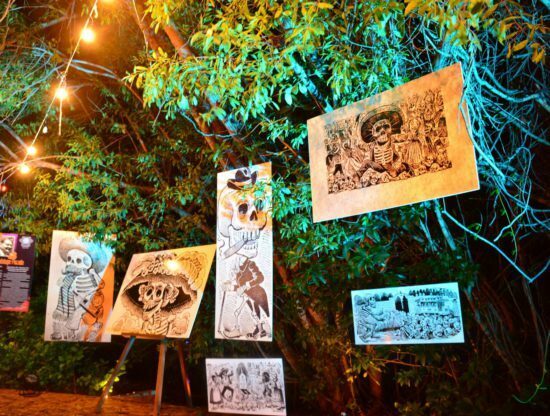 Although popular legends are also included in the Mexican tradition, on Halloween the horror stories are told by a campfire, with terrifying beings and monsters as the main characters, in order to frighten people. It’s usually a night to watch horror movie marathons for the same purpose. 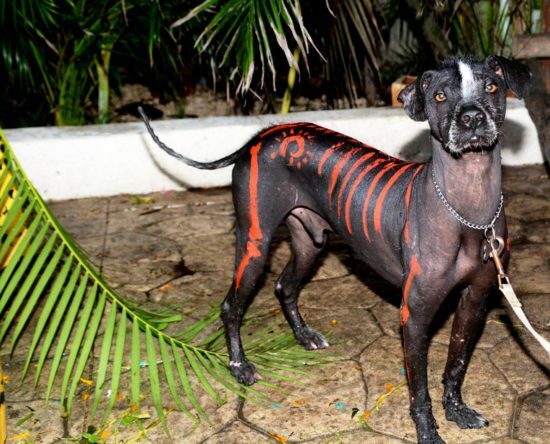 For Mexico, the Xoloitzcuintle (Mexican hairless dog) is a living heritage, being the country’s native dog breed and having a pretty close relationship with pre-Hispanic culture. It is believed that this dog was the guide of the deceased and accompanied them to the underworld. Because of this, they were usually sacrificed and buried together with the dead ones they guided. Black cats pay an important role on Halloween. During witch hunts several centuries ago, black cats were associated with evil and bad luck, especially if they crossed paths with a person in the moonlight. In places with no witch hunts, like Great Britain and Ireland, it was the opposite; they believed black cats were a good omen that could help family members get home safely. 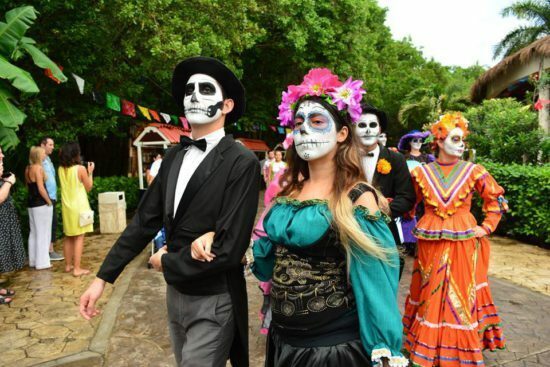 Come discover Day of the Dead and its immense tradition and meaning! We invite you on November 1 and 2 to experience a unique and mystical experience at Sandos Caracol for its most important event of the year. See the activities program here.